In an unsurprising move on the part of the Ohio State Controlling Board, the Ohio Lottery was granted a budget expansion of $22.5 million to purchase 1,200 “next generation” electronic gaming machines from Greek manufacturer Intralot. 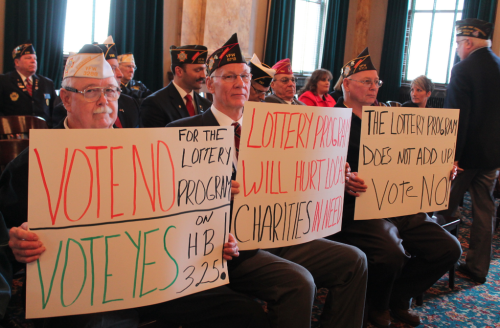 The Controlling Board, a bipartisan group, voted unanimously to approve the expansion, and give the lottery the chance to corner the market, and expand legalized gambling to include Ohio veterans and fraternal posts and lodges statewide. While the Controlling Board debated the issue before ultimately rubber-stamping the budget expansion, veterans and members of local fraternal and sports clubs sat in on the meeting, hoping that the legislators on the Board would voice the opinion of vets, fraternals and local charities that have emphatically opposed the lottery’s plan in favor of other solutions, such as Ohio House Bill 325. Suzette Price, American Legion of Ohio service director, said after the vote that the Controlling Board “acted prematurely” by approving the lottery plan before a decision is rendered in the court case. “They are forcing us to take an option we’re not comfortable with taking,” she said. Ohio House Bill 325, unlike the Controlling Board workaround, would clarify current law statewide after testimony and debate, and would allow posts and lodges to give money to all charities, including and certainly not limited to statewide K-12 education. The Ohio Lottery’s plan to put their version of “next generation” electronic charitable raffle terminals in veterans and fraternal organizations posts and lodges has met with plenty of opposition from the OVFCC and other veterans and fraternal groups. Now, the charities that benefit from the OVFCC program are starting to weigh in. The Executive Director of the Children’s Developmental Center in Amherst, Ohio recently sent a letter to the State Controlling Board opposing the Ohio Lottery’s plan because it only supports education in the state of Ohio, and not other important charities. Without the OVFCC program and Ohio House Bill 325, the Center may very well cease operations. The Children’s Developmental Center is just one of many nonprofits that benefited from private clubs such as the Veterans and Elks that raised thousands of dollars for programs for special needs children, veterans, the hungry, the poor, and countless others that depend on the generosity of the members to help them serve their mission. The Children’s Developmental Center provides much needed therapy for children to help them prepare themselves for school, and without programs such as ours, these children may not receive the much needed therapy they need because the programs are losing funding from just about everywhere. United Way is de-funding all individual programs in Lorain County by 2015. Medicaid has reduced therapy reimbursement for children by 50% starting January 2014. Private health insurance companies continue to increase co-pays and deductibles while at the same time reducing and limiting the services they will cover. Families are being asked to ‘share’ the cost of health care at the expense of being able to afford it! The dollars being raised by these private clubs going to the 501©3’s in Ohio have been a godsend. With the emergence of the “machines”, the amount of money being generated for donation has substantially increased, and had provided the Children’s Developmental Center, not with additional funds, but dollars that were helping to meet the ongoing cuts being received. Now, with the elimination of yet another stream of income, more people who receive help from nonprofits will be told, “Sorry, we don’t have the funding to help you!”. The Lottery’s focus is to help education. Well and good, but there are hundreds of nonprofits that help the individuals before, during, and after they are in school. Please allow these private clubs to continue to provide a source of entertainment to their members while at the same time creating a funding stream for nonprofits that will allow them to help the people they have identified. Helping veterans and fraternal groups is the mission of the OVFCC, but almost as important is helping raise funds for the different charitable organizations supported by veterans and fraternal groups in Ohio. While the Lottery’s plan will certainly benefit the worthy cause of education, it might do so at the expense of schools, hospitals, youth organizations and some of the other 400-plus charities that receive funds as a result of the OVFCC program. The simplest solution: the Ohio Legislature should pass Ohio House Bill 325, clarify the law in the state, and allow everyone, not just the Lottery, not just the Lottery’s foreign vendor, and not just education, to benefit. 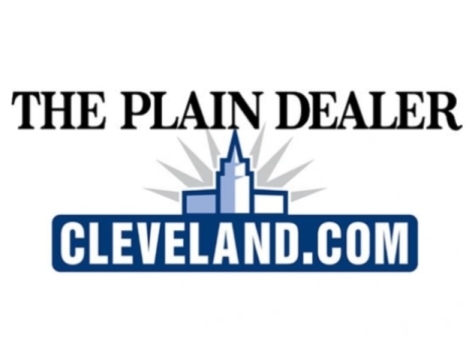 In an article published today in the Cleveland Plain Dealer, it was revealed that the Ohio Lottery will ask the state’s Controlling Board to adjust Lottery spending in order to purchase so-called “next generation” gaming consoles for sale to veterans and fraternal groups. While the Controlling Board is expected to OK that increase, the next steps for every party involved grows increasingly cloudy in the eyes of many. The lottery’s proposed machines have been vehemently opposed by many veterans and fraternal groups, and categorically opposed by the Ohio Veterans and Fraternal Charitable Coalition (OVFCC) due to the fact that the charitable spilt between the parties will give little help to veterans and fraternal organizations struggling to keep their doors open in these tough economic times. Complicating the matter is the opposition from Ohio Attorney General Mike DeWine, historically an advocate and supporter of veterans, who deems the current machines in violation of Ohio law. That’s where things start to get cloudy. DeWine contends that the electronic raffle machines currently used at veterans posts and fraternal lodges operate like illegal slot machines. Last fall, he ordered the veterans and fraternal groups to turn off the machines or face prosecution, a sticky proposition for a veterans friendly politician seeking re-election. In December, the Ohio Veterans and Fraternal Charitable Coalition, which represents 1,700 posts and lodges, hired former Ohio Supreme Court Justice Andrew Douglas to sue DeWine’s office. The coalition won a court order blocking any action by DeWine or the Ohio Liquor Control Department, which could initiate enforcement action against veterans and fraternal organizations authorized to sell alcohol. While the Ohio House of Representatives continues debate on Ohio House Bill 325, a bill clarifying current charitable gaming law, many OVFCC members will continue to use the machines that former Justice Douglas has deemed to be “clearly not ‘strictly prohibited'”. Stay tuned to the OVFCC website and blog for updates on where the story goes from here.